A while back, someone sent me a message asking about the availability of a certain French cheese that a French friend, who now lives in the United States, was constantly raving about. It took me a moment to figure out how I knew the name, until I realized that they were talking about fromage à tartiner, otherwise known as cream cheese. The French have taken so much to cream cheese that last year, the company that makes Philadelphia cream cheese finally wised up and dropped their prices dramatically, making it the same price as the other brands. But none can replicate the appeal of Kiri. Kiri comes in small squares, each individually wrapped. Originally designed as “cheese for kids”, of course, those kids grow up and I know plenty of French adults who love nothing more than sneaking a square of Kiri they have stashed away in their frigo, eating it just as is, not even spreading it on bread. Of course, enterprising Americans – like a friend of mine’s mom who has lived here for nearly forty years – has been using it for her New York-style cheesecake, which I was recently told by “someone” that it was better than mine. See? Even four substantial blocks of cream cheese are no match for the subtleties of the refined French palate. Or the brutal directness. I’ll have to admit that I don’t crave cream cheese like I used it, back in the day. For one thing, to me, if I have a brick of cream cheese in the refrigerator, it demands a bagel…and smoked salmon, capers, and red onions. And for another, if I make a New York-style cheesecake, my French friends find it so rich, they can barely make it through a slice. Which means the leftovers are all mine, which is a good…and not-so-good, thing. Especially when I almost busted the button in the changing room, trying to squeeze into some ‘slim fit’ trousers for my recent trip to Monaco. 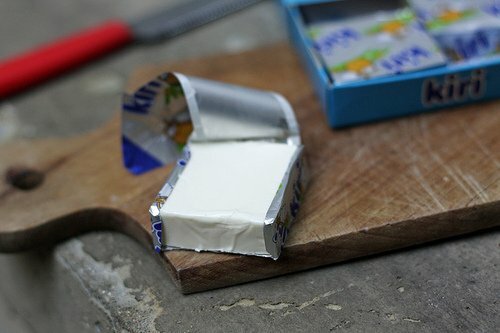 Speaking of things that are spreading, although Kiri is meant to be spread (in French, à tartiner), I have friends who told me that their moms used to hand them a square to unwrap and eat just as-is. But I was making a batch of sardine rillettes the other day and found a box of Kiri in the refrigerator drawer that was bought by “someone” else. I unwrapped a square and mashed it in with a few hunks of soft butter, for additional richness. I don’t think I’m ready to unwrap a few pounds worth for my next cheesecake, but perhaps I’ll take a cue from my French friends and skip the other ingredients, and the crust, (and perhaps the sardines), and just take the direct route as well — à la française. Resding this makes me want to drive to the Burren Smokehouse and buy a side of salmon and lament the fact that there are just no great bagels in Ireland. There is however, granted not Kiri, some excellent cream cheese. 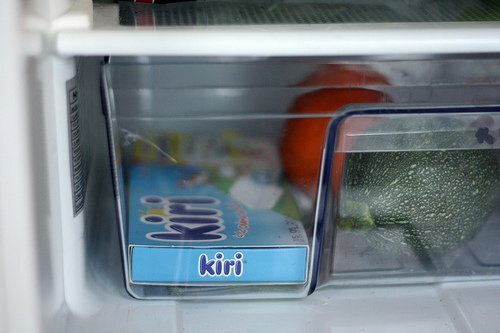 ohhh I love Kiri and I always have it in my fridge! I am a big fan of cream cheeses! I also like Gala, especially with boiled potatoes!! I’ve been eating kiri since I was a child! And yes it’s sooooo good that I often eat it as a snack without spreading it!! my kids love kiri and La vache que rit (The Laughing Cow cheese wedges) and you’ve got it- au natural. they can finish a box in a sitting! Interesting. In Brazil, in the main cities , these little blocks o cheese, produced by Polenghi have the same tradition they have in France. It’ś been a must have in the kids’ lunch bags since, i believe, the 70’s. The same way, they are eaten pure. I love kiri, we have Philly cream cheese at our Carrefour down here but I actually still prefer to use kiri. Just used it today to thicken creamy potato soup and it turned out great, might not be so great for the waistline but oh well. That looks a lot like Laughing Cow cheese that we have here in the US, which I guiltily admit is one of my favorite snacks. I’ve never seen a cream cheese variety though, that would be great for recipes that don’t call for a whole block of cheese! I love smearing some creamy Kiri on a fresh, warm baguette! A French friend introduced me to this magical processed cheese last year — he said, “it’s for kids.. so you’ll love it.” After that I always kept a box in my fridge. Now that I’m back in NYC I haven’t been able to get my Kiri fix! Eating cream cheese straight – whoa! So, is it available in the states? God, Kiri! There was a box of this in our fridge for pretty much my entire childhood (and I live in Canada). 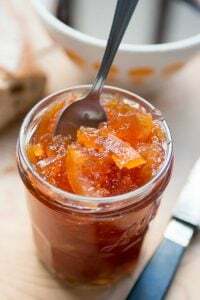 Dad would take it out of the fridge in the mornings for lunches and put it on a rack over the heating vent to soften it enough to spread on bread – with homemade jam of course! And yeah, we totally ate it straight out of the foil on a regular basis. Now I’m going to have to scour the grocery stores for it! Thanks David! I love Kiri but I just wish they would also produce a bigger package. If they do in France, we still only get the packages of small squares in Cairo. So I end up buying the Président cream cheese or Philly because it is a pain to unwrap all the little ones for a recipe. Can you let me know if you’ve ever seen a bigger package because maybe I can ask my local grocery to talk the importee into bringing them in? Thanks! @Caroline: it’s similar to Laughing Cow but much better (laughing cow exists here too as someone else mentioned above ‘la vache qui rit’). I like to eat it as it is without spreading too! But it is lovely on toast too. I love Kiri! I always buy it when I am in France, I can’t find it here in Italy..
I´ve seen Kiri in the supermarket and for years and years have never bought it, even though I´ve often wondered and thought of trying it out. In Estonia I didn´t grow up with Kiri. Now years later after your great advertising I might actually buy it. My kids devour it plain, but I like it best on wasa crackers with chives. It really is better than Philadelphia ! I’ve been on a sardine kick lately. I wanna reach out and grab that fork with a nice smear of sardines, kiri, and butter. I’ve been going the grape tomato/serrano pepper/sardine route. I’m going to have to make your sardine rillettes. Here in Africa we have Kiri ads that remind me of the Oreo ads in the States. They ask how do you eat your Kiri? and show kids’ different styles of eating it straight from the foil. We also have La Vache Qui Rit and I’ve wondered if it came along later and was so named because the last two words sound so much like Kiri. I have a 7 yo, and that’s her KIRI is her favorite school snack…. I’ll admit, I have Laughing Cow Cheese stocked up in my fridge. I love spreading it on a good cracker – such a great snack! A grammar school friend who lives in Paris put a square of Kiri on a cheese plate when I was at lunch one day. She had small children at the time, so she must have had a steady supply. I must confess I polished it off. It was heavenly! I can’t see to find Tahini in Bologna (in fact, it seems many Italians have never heard of it). Is there a way around it? Can I just use normal sesame seeds? I wouldn’t add a handful of sesame seeds to the eggplant for a paste because they would be grainy. 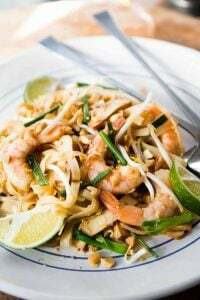 Markets that specialize in Asian or Middle Eastern, or Indian foods often have it. 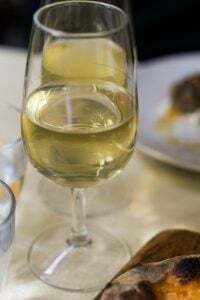 I don’t know Italy very well but check out my post How to Find Foods and Other Items mentioned on the site. I LOVE Kiri and was thrilled to find it at my local grocery store recently here in Toronto. Yeah it might just be “cream cheese” but somehow it’s so much more elegant! Doesn’t “pâte à tartiner”, just refer to spreads in general, and not just cream cheese? When I was in Paris there were little packets of St. Mamet chocolate hazelnut spread emblazoned with the words “pâte à tartiner.” Just curious. I don’t want to use the phrase incorrectly. Yes, it does. I’ve seen several different “official names” for cream cheese in France. 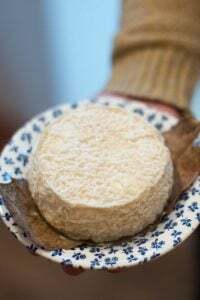 Sometimes it’s referred to as fromager à tartiner (spreading cheese), fromage frais à tartiner, fromage frais, or le cream cheese. It’s my favorite kind of cheese. It’s my favorite. Kind. Of. Cheese! I love it spread on toast with thin slices of tomato and salt and pepper. Yum!! love Kiri! we can get it in Japan now, so good when you need a schmear on a bagel! Kiri is the go-to cheese whenever I make cheesecake. 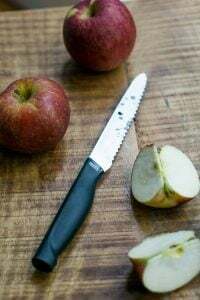 I always make it Paleo or Primal friendly, that is, I use nuts as the base instead of cookies (no gluten or grain), and it has to be full-fat, and I avoid making the pie high but make it half-high instead. This way, I use and eat much less sugar while still be able to indulge dessert. Cream cheese itself is a pretty healthy food (if dairy is tolerated), it’s what you eat it with that matters. No wonder France is one of the slimmest nations on earth, they eat cream cheese on it own! Having said that, sardine and cream cheese sound delish and certainly healthy to the waistline… it’s an inspiration I’m going to make some! Thank you! I love Kiri, too! I learned to love all the French kiddie foods while working as a jeune fille au pair in Paris. The family I lived with were anti-foodies, eating pasta and chicken cordon bleu every single night of the week. I didn’t move to Paris to consume Barilla products! Needless to say, one of the simple pleasures I subsisted on was Kiri on Harry’s American Sandwich bread folded in half! Maybe with a little bit of banana confiture, too. 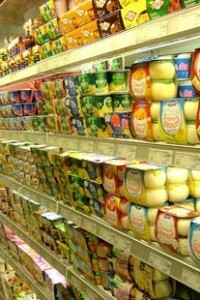 Ten years ago, it was more or less impossible to find cream cheese in France. Now that it’s available in abundance, I have used it a couple of times to make cream cheese frosting to go with my carrot cake. But it never works! I am always left with a runny mess. What is inherently different about the cream cheese here that makes cream cheese frosting impossible? Excellent idea regarding the Tahini search! And, I will check out that post. Kiri is delicious, if it where up to my kids they’d eat nothing else. We are currently addicted to ‘Maredsous Double Cream’. Gloriously tasty on toast..
Pls figure it out David. I came back with just 3 packages and must return for more!! What fun it is to read all of these comments! 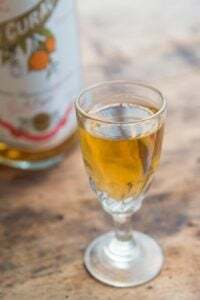 I had never heard of this Kiri 5 minutes ago and now that I’ve read how much everyone likes it I will probably keep thinking about it and wishing that I could get some! Renting a house in Provence in July. Putting Kiri on the grocery list! Is it similar to Laughing Cow? This one was very popular in my childhood days, back in the 80’s in Mexico City. There was a very similar version of the Kiri called “Quesito Mío” (My little cheese). I loved it. I still crave for it, but really haven’t found anything that at least, looked like it. Until now with the Kiri. We usually ate it in our pasta soup. Could be letters or fideo soup. We dissolved one little cube in the warm soup and it tasted like heaven. Now I live in Germany and it thrills me that I can go right now and get the Kiri at the Kadewe! Thanks for all your tips..you must get this a lot but I always read your posts. It’s been almost a year since I follow you…but I know you since I was the Web Editor in the Gourmet Section in the biggest newspaper in Mexico City. And that was since 2005. I cannot find fromage blanc where I live so when a recipe calls for it I thought sour creme would be a good substitute but it isn’t. What do you suggest. I love creme cheese too and agree it screams for lox and bagels so alas it remains on the grocery store shelves. I’m baffled the french like it since they have so many other better cheeses to choose from. Good news-Bad news….Kiri is available in 1 kilo blocks. Easier than unwrapping a lot of single serving squares, but a lot of cheesecake. I agree with Stephanie it is much better than Philadelphia. I’ve been buying the individual wrapped sized in Middle Eastern and Asian grocery stores (United States, Kansas City) and I assumed it was like Puck brand cheese spread that has cream in it. Before your post I didn’t know about Kiri’s web site Kirichef or that Kiri had a web site. Next time I’m at the store I’ll be asking for the goat cheese variety. “kiri” means “left” in indonesian. funny. has nothing to do with cream cheese whatsoever. Betty: A few years back I was at a professional food show in Paris and they have three kinds of cream cheese: French, Australian, and American. I never asked what the difference was, but they were sold in #3 (1,3kg) blocks, too. Linda: I have a fromage blanc soufflé recipe in The Sweet Life in Paris and knowing that it’s a hard-to-find ingredient depending on where folks live, I suggest puréeing cottage cheese in a food processor until smooth. It tastes quite similar. There is just something so appealing as a child about small, soft, individually-wrapped cheeses. I used to eat those Laughing Cow and Babybel cheeses constantly as a kid…it helped develop a deep love and appreciation of all cheeses as I got older. Well now this is interesting, b/c I thought I’d tried all the French brands of cream cheese, desperately searching for something to make cheese cake with, but I somehow missed this one. The other brands are all salted and so they don’t work for cheesecake at all. I did spot Philadelphia Brand in my Burgundy grocery store the other day for the first time, so maybe I’m saved. France is great, but some things you just can’t give up, like a big fat NY cheesecake with fresh strawberries. Following up on that question about tahini, you can lightly toast some sesame seeds and stick blender/food processor them into tahini. Maybe add some olive oil to loosen it up, but that’s the best way to control the degree of toasted flavor in tahini, which is simply sesame “butter.” Never be without it again! How can you not be curious to test Kiri in your cheesecake recipe? ‘Someone’ practically threw down the gauntlet. Picking it up would be so fun — in a new kitchen, no less! Please… for you devoted readers? Since we’re in Paris, I’ll have to find Kiri and try it! Kiri is the best-selling cheese in Kuwait – kids (and adults!) here eat it rolled up in pita bread. for your readers to know : Kiri and La Vache qui Rit are both manufactured by Fromagerie Bel, also makers of Bonbel, Babybel, Boursin etc … still family run french dairy industry major company (very successful). Kiri in my family is eaten by my granddaughters. Personally I prefer Saint Moret. But these are all industrial “fromages frais”, and each palate has its preferences. I am very happy to find Philadelphia cream cheese here now easily, this week-end I will make a cheese cake for my family and friends. It used to be sold in italian stores only, and … très cher. I grew up on kiri! it is very popular in the middle east. I am totally in awe of your blog, the information, the quality of that information and more importantly your amazing sense of humor and wit. And, I am eagerly awaiting more pictures and news of your new apartment. hint, hint! 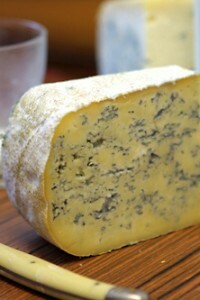 Hi David, When I was still living in Austria we used farmer’s cheese for all sorts of cooking. Now, here in Australia, I like to use quark or Philadelphia Cream Cheese 60% fat-free. PC is available here 5%, 20%, 60% and 80% fat-free, so the choice is great. I do prefer to make my own farmer’s cheese, which is so easy to make and brings a light texture to any type of cheese cake or strudel etc. I grew up in Ghana where there was no mascarpone, so my mother used to make tiramisu out of Kiri, egg whites and whipped cream. To this day, the best tiramisu I’ve ever had!!! We used to eat kiri spread on swedish Krisprolls while vacationing in Europe when I was young. It brings me back to picnics in the beautiful Swiss mountains during the summer. Man, I miss being a kid! While I loved Kiri, I’ve never liked Vache qui rit. It just never tasted very.. real to me. When Philadelphia first arrived in France, it actually really didn’t arrive… it was “imported” product, meaning the stores had to actually import the cheese from other countries. Now Philadelphia ships the packages to France themselves like any regular brand, hence the lower price. The Philadelphia found in France doesn’t use stabilizers (unlike the american version which has guar gum I think). So the health freaks will find that to be a good thing, but it also means the french version is less creamy/smooth than the american one. St Môret and Carré frais are also just cream, milk, salt, however Kiri has a bunch of stuff inside… Don’t know the terms in english, but here it is in french : polyphosphates (E450), citrate de sodium (E331), phosphates de calcium (E540), triacide carboxylique. i love Kiri. it’s my go-to cream cheese whenever i need something to snack on. i love it as it is or sometime have it with crackers. Oh, I love kiri. It has a special taste that makes a difference to all cream cheeses. You also get kiri in some shops in Germany (but only since 2 or 3 years). Please excuse my ignorance, but is there not any bagels in Paris? I thought with there being at least a decent Jewish population that there would be some bagels to be had. If not, maybe I should come over and open the first shop. Montreal style, of course. NY bagels are good but since I had them in Montreal I can’t stop thinking about them. The cheese in Argentina is atrocious and I have found myself craving Kiri like mad lately! I like mine on a particularly crunchy baguette. I remember this cream cheese — they always served it in Club Med. I tried to find it in the best cheese shop on NYC, but they said they couldn’t sell it in the U.S. because it wasn’t pasteurized. I did find it on a trip to Toronto years ago, but I had forgotten about it until you wrote this story. Anyway, thanks for the memories– I loved schmearing this cream cheese on my bread with my coffee every morning. It’s so much lighter and more delicate than American cream cheese. And, the only way I can sort of duplicate the texture is to make home made cream cheese which, (don’t laugh) I do sometimes. I pretty much grew up on La Vache Qui Rit, but have never tried Kiri. I’ll have to do a side-by-side comparison soon. We have had Kiri in Canada for years – it isn’t as ‘solid’ as the Laughing Cow style and so spreads better on a bagel or cracker. It is far superior in taste and texture than the Philly brand. My kids loved it because of the little packages and because it somehow seems illicit to take it in the backyard and eat it while swinging upside down in a tree. If you can do that, how can it be nutritious?? 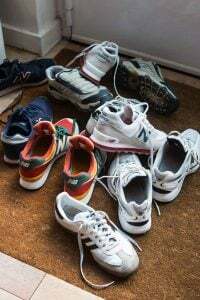 They also loved to take it to school because other kids never had it. I knew they were valuable trading snacks so I would put extra in their lunch so they would get some too after trading for chocolate bars and other things that were not seen in their own lunchbox. Kiri is a guilty pleasure, a flashback from childhood. These are a big hit in our family from my 3 year old daughter, to my 18 year old nephew, and my 78 years old dad. I always make sure to have some in the fridge! Hmm how does Kiri compare to La Vache Qui Rit? That’s the one I grew up with (I seem to remember it in France though I consumed the bulk of it in Canada). I liked La Vache Qui Rit a lot when I was a kid but now it just tastes too salty. Honestly, I prefer chevre over anything else these days. Ah, Kiri!!! I studied abroad in Nantes and loved it so much, but had completely forgotten about it. Now I miss it! But have to say, I don’t think I have tried Kiri, despite seeing it in the cheese section whenever I’m at the supermarket. I might have to give it a try. I grew up in Kuwait in the late 80s/early 90s and this was a staple in our home. But we were never allowed to eat it alone! My mom knew how yummy and addictive it was and would make us spread it on some bread to satisfy our appetites! We used to have La Vache Que Rit as well, but I secretly loved Kiri’s packaging better! at least 4 times since first reading this post. I’m completely hooked! 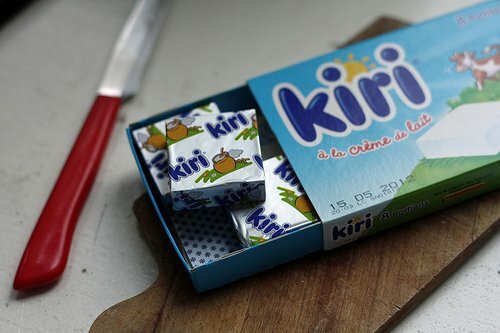 I’ve lived in France for a long time, but never thought to buy Kiri. 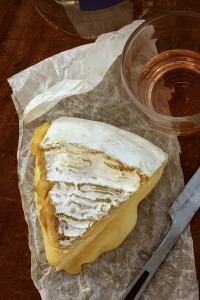 So far I’ve managed to not eat it à la française, but I fear it’s only a matter of time…. 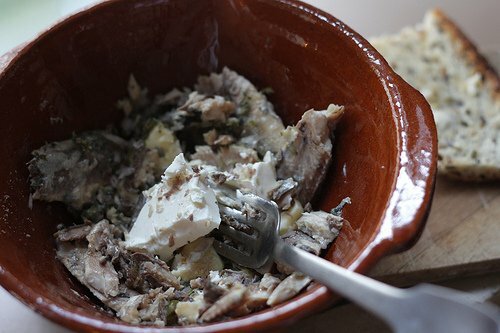 My parents (who used to live in Toulouse for many years) used to always mash sardines and mix them with Fromage Blanc which I suppose is a somewhat similar idea. We used to put this on toast for breakfast growing up, sometimes covered with a slice of tomato or chives. Yumnmy. Funny, I never thought of it as rilletes but technically I suppose it is, kind of.